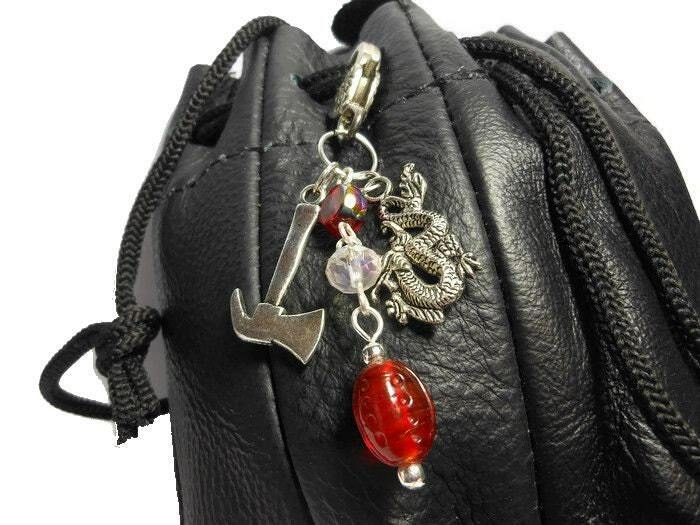 Dice bag clasp, battle axe or war hammer, dragon, Swarovski crystal, lampwork bead, AB bead, silver heart clasp, zipper pull, backpack clasp. 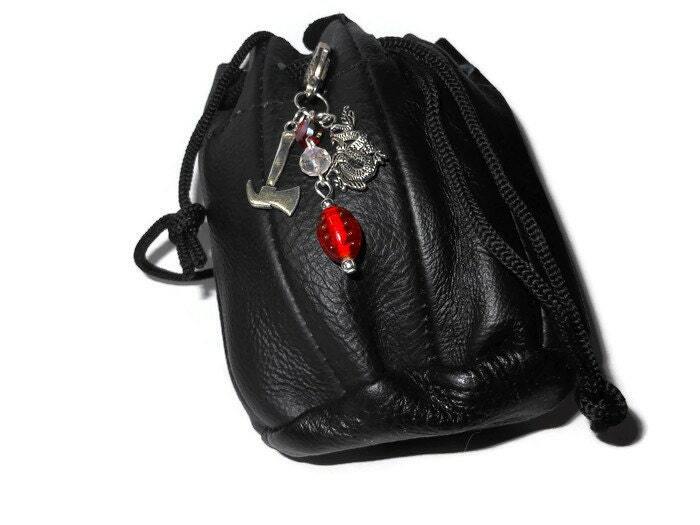 Attach it to a key chain, or a purse. Call it what you will and use it how you want. Dungeons and Dragons players were my first thought, as I know know the world, but good for any fantasy, medieval fan. Great gift choice for anyone of those! 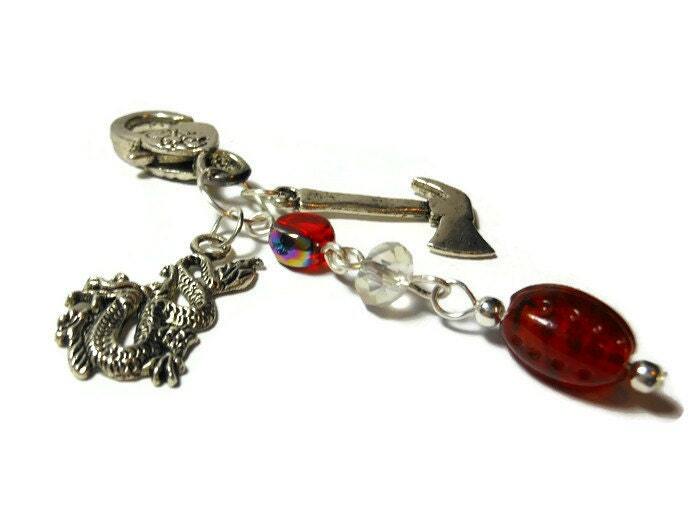 The dragon is Tibetan silver the findings are all silver plated the axe and the clasp are antiqued silver tone. The beads are a small red glass aurora borealis bead, a clear diamond cut Swarovski crystal and a red lampwork bead. 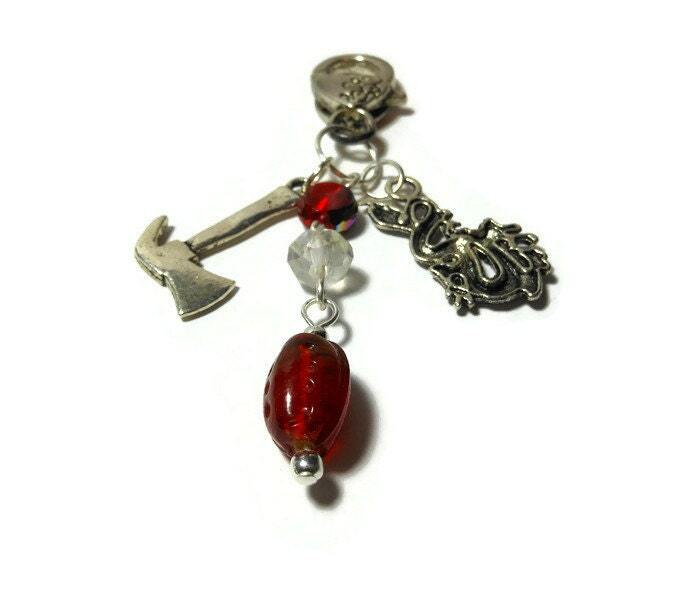 From the top of the clasp to the bottom of the lowest bead it measures 3 1/4" (8.2 cm). 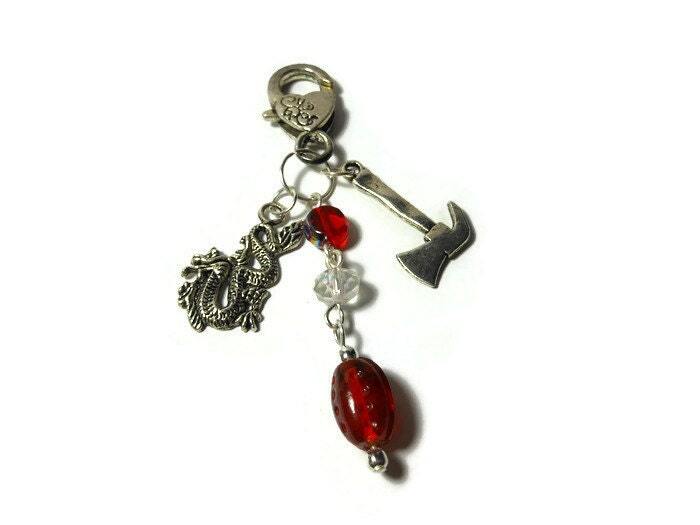 Heart clasp can be traded out for 4 leaf clover clasp or plain silver clasp. 2. Add on items only have free shipping in the United States when added on to another piece. If you are out of country and your package is small enough to lower shipping, I will refund any difference over $1.00, after insurance.